So many of the poet’s observations in this film directly mirror the spirit of modern day American activists, particularly the women who marched on Washington (“If I can’t have equality, then I want nothing of love”) as well as those working to remedy our country’s “acute case of evangelism.” Dickinson opposes the patriarchal oppression of the church by insisting that her soul is her own and not for sale. When she is accused by a pompous critic of creating a “literature of misery,” one could easily see how that sort of naysayer could apply the same term to Davies’ work. Yet as heartrending as they may be, Davies’ films are anything but a self-pitying dirge. They are thrillingly alive, deeply moving and especially in the case of “A Quiet Passion,” extremely funny. 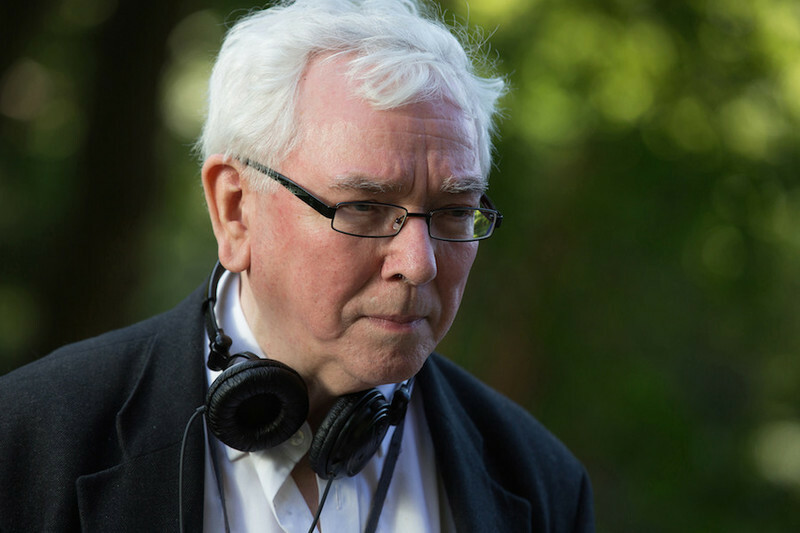 Davies recently spoke with RogerEbert.com about spiritual disillusionment, the problem with British cinema and the Doris Day film he wishes he had directed. You and Emily Dickinson seem like kindred spirits in many ways. What sort of impact has her work and her life had on you? I discovered her when I was 18. Claire Bloom was reading some of her poetry on television, and the first one she read began with the line, “Because I could not stop for Death—he kindly stopped for me.” After that, I went and bought a little collection of the poems, but it wasn’t until about 12 years from where we are now that I began to read the poems properly. Then I began to read about her life, which I thought was extraordinary, and there were four things about her life of which I felt very strongly. When she was 17, she was taken out of a seminary because she was literally ill with homesickness. I had a very bad chest infection when I was in primary school, and I was sent from Liverpool to North Wales to convalesce for a month. It’s not a long distance, but when you’re a child, it seems as if it were hundreds and hundreds of miles. I ached for the month to be up so I could go back home again. Another big thing I connected with was Emily’s spiritual quest. She was convinced that she had a soul, but was always questioning whether or not there was a god, and that theme runs through all her poetry. She always somehow manages to imply that there’s something, she just doesn’t know what it is. I was brought up a strict Catholic and I was very, very devout. From age 15 to 22, I struggled against doubt, and then I realized it was just a lie. That was an awful feeling. Emily never wanted her family to change and I felt the same way about mine. I wanted my family to remain the same forever, and that’s impossible. When she withdraws into her house, at first it is a haven that she longs for, and then, when it is too late, she realizes it has become a prison. I was so angry that she never acquired any fame during her lifetime, because she deserved it. Why couldn’t she have won first prize at the bread competition—just once for god’s sake? That does move me terribly because I don’t believe in life after death. She didn’t know that she was a genius, and her life was hard, which I believe is true in general about the lives of geniuses. She opened her soul in her poetry, and it’s very difficult to deal with the world when you are that open. What do you do when your work gets rejected? How do you bear that? That’s literally what some journalists said at the time. There were only a handful of people who could hear Lincoln because he didn’t have a big voice. Edward Everett spoke for two hours before Lincoln’s speech. Who remembers what he said now? Though you and Werner Herzog have openly discussed you atheism, I find both of your work more spiritual than most modern films with religious themes. I don’t think you can get rid of the religion that you are exposed to. I’m very much full of guilt and I examine my conscience every day. I still am upset at the fact that when I was a child, I told my mother to “shut up.” It’s still on my conscience. I think, “How could I have said that?” I also find myself challenged with questions such as, “What are the use of morals and ethics? Is there any point to them? Should we simply be ruthless while we are on the earth and make sure we get what we want?” I couldn’t live like that. I don’t think that’s the right way of living. We may be headed for oblivion, but what is the point of using or abusing people? No one can justify that, and certainly a god cannot. But I still yearn for that surety that I had when I was religious. Now that it’s gone, what do I fill it with? I’ve tried to fill it with knowledge, but that absence never really goes away. When I go to a Catholic church now and I look at all this iconography, I think, “God, what a load of twaddle it was.” But at one time, it was very powerful because, like an idiot, I really did believe. Though Emily’s life lacked the community offered by religion, she was able to connect with the world through her poetry, which speaks stronger than ever to the issues facing women today. What is important is you’ve got to feel for the story that you’re going to tell. I’m not in any way a political filmmaker, I’m just not. When Emily was growing up, the mores of the time were fixed—the men ruled, the father was the patriarch and you did what you were told. That was a given. Even in her moments of rebellion, she asked her father for permission to stay up late. After he died, she would get up during the night and improvise on the piano as well. But she is aware that there are certain rules that must be followed. She doesn’t have a rebellious spirit so much as she believes that certain things are unacceptable. Though there really was a woman named Vryling Buffam, our version of her is a complete invention. She gives Emily good advice—“Do this, but don’t do that”—and because she is charming and funny, of course they are going to be friends. My sisters had friends like that, and when they came around, I saw how they brought life and an irreverence to the world. That’s what Vryling brings to Emily’s world, but at the end of the day, she is prepared to conform because she notes that, in the end, we all do it. Either you agree to conform, or you face the consequences, which was not much of a decision really. It was a pickle to be in. Where did she find the courage to write 1,800 poems, three volumes of letters and have the long acquaintanceship of people like Judge Lord, all the while baking, gardening, and being in agony? The sheer courage of that is incredible. Imagine being in pain all the time without any alleviation. It must’ve been awful, and therefore, it makes the poetry a heroic achievement. What made you realize that Cynthia Nixon was the perfect person to play Emily? I had met her some years before for a film that didn’t come together, but I had never forgotten her. When we were researching for the project, we were studying the famous daguerreotype of Emily from when she was 16. One of my producers was originally a still photographer, and he took Cynthia’s face and superimposed it on the photograph. She looked like an older version of Emily. But beyond that, Cynthia really knew the poetry. Not only had she listened to the discs that Julie Harris had made, but she can read poetry herself and very few people can do it well. It took four and a half years to get the money and she said, “You’ll never get the money for a film I’m starring in.” She could’ve gone off and done all sorts of things, but she remained very, very loyal to us, and I just knew that she was the right choice. When the camera slowly pulled in to the characters’ faces as they subtly age before our eyes, it was as close to magic as anything I’ve seen on film. I have no idea where that idea came from. I just knew it would be cheap. [laughs] We didn’t have large amounts of money to spend, and I was looking for ideas that were simple and inexpensive. I studied the photographs of all the characters, and I just thought, suppose they change whilst they’re being photographed? When we shot these scenes, none of the actors were allowed to blink. We did Cynthia last of all, and she said, “I’ve got to warn you, I’m a blinker,” so I said, “Try and not.” Everything went fine until the very end of her take, where she did a sort of half-blink. Then the man on our crew in charge of digital effects said, “Oh don’t worry, we can take the blink out.” And I was like, “How do you do that?” [laughs] And he did. How close is your collaboration with your cinematographers? I have a rapport with each of them, and it’s got to be close every time. Of all the things on the set, a director is closest to the cinematographer. Sometimes we don’t even have to vocalize our thoughts, such as, “Could we put the camera there?” or, “Could we try another lens?” I can never remember the lenses I use. With this film, what was important was capturing the look of Amherst, Massachusetts, where Emily lived. I went up there for the first time, and her house has got these huge windows. The light just pours in, whereas The Evergreens—where Emily’s brother lived—is dark and has a very unpleasant atmosphere. I decided that the imagery in my film should be crisp, and that the light should gradually be taken out so that everything becomes darker and darker. Florian Hoffmeister is a wonderful cinematographer, and we had a great rapport. You’ve said in the past that Britain often mistakes theatre for cinema, celebrating pictures that are essentially filmed plays, while dismissing work that is more abstract or impressionistic. Do you still believe that to be the case? Yes, I do think it’s true. We churn out these bloody awful period films about Jane Austen. God almighty, why? They try to make these films realistic, but then they allow the characters to speak in a modern tongue. I do still think that British cinema doesn’t understand the magic quality that can be found in visual storytelling. It’s got to be cinematic. The big mistake is thinking that pretty pictures actually mean something. Well, they don’t. They’re just pretty pictures, and they are dead easy to create. You can make anything look pretty. What we should all aspire to do is to only create images that have meaning. It can be a shot of a knife and fork that is out-of-focus and shot in crummy black-and-white, but if it has meaning, it becomes beautiful. I look at all these pretty images in a British period piece, and after about two or three shots, I’m thinking, “Okay, now tell me the story cinematically.” I don’t know what it is about the British. What’s wrong with us? If you actually look at what it was like in Jane Austen’s time, people didn’t wash. They only washed their hands and face. There’s a theory that Jane died of arsenic poisoning, which was introduced into her skin by the white lead that she put all over her face. People were dirty, they smelled, and their lives were about anything but prettiness. Perhaps no film can convey the full extent of it, but you can at least attempt to capture it. In this film, only the father has a stiff collar. All the other characters have floppy ones because they would’ve sweat through them. When Emily waves goodbye to Vryling, the back of her dress is faded, and at the commencement ball, the dress falls off one shoulder so it’s not symmetrical. That’s what it would’ve looked like, and England is often uninterested in those sorts of details. We’re too theatre-dominated, even now, I think, and all we’re likely to get is just more pretty pictures. I know you are a big fan of Doris Day, and considering that she just turned 95, I must ask you, what would your ideal collaboration with her be like? Next Article: Screw the Rich: Checking in with Lina Wertmuller Previous Article: Chicago Split: Jake Johnson on "Win It All"